France's Celine Boutier birdied the par-4 ninth hole on Thursday to finish with an 8-under-par 64 and take a one-stroke lead after the first round of the LPGA's Bank of Hope Founders Cup in Phoenix. Starting on the back nine, Boutier birdied the par-4 10th hole and then tore through the 6,656-yard Wildfire Golf Club course. She finished with eight birdies and 10 pars. The final birdie allowed Coutier to emerge from a pack of golfers in the clubhouse at 7 under. Nanna Koerstz Madsen of Denmark, American Alana Uriell, England's Charlotte Thomas, and South Koreans Jin Young Ko and Na Yeon Choi all shot 7-under 65s. 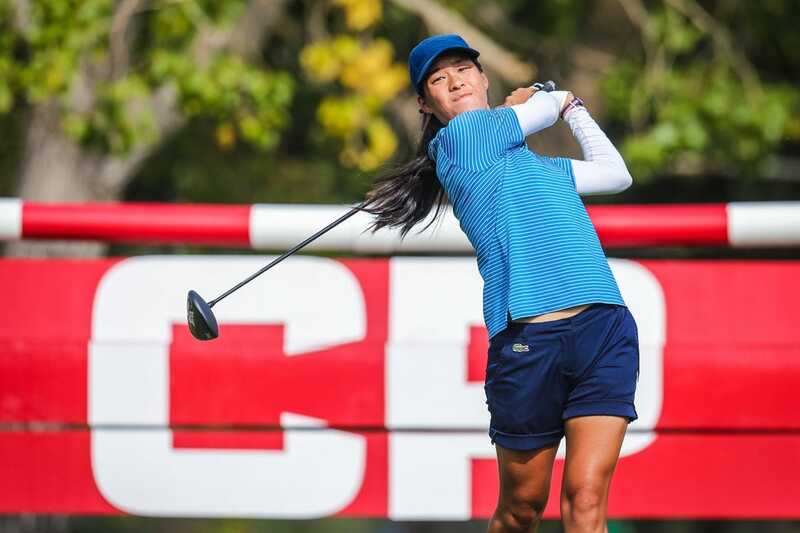 South Korea's Sung Hyun Park and Jenny Shin, Thailand's Pornanong Phatlum, American Cheyenne Knight and Spain's Carlota Ciganda are another stroke back at 6 under to round out the top 11. Boutier, who won a national championship and was named WGCA Golfer of the Year at Duke in 2014, entered the weekend ranked fourth in the CME Globe points standings. She picked up her first win as a professional at the ISPS Handa Vic Open last month. "(The victory) definitely made me more confident in my game, my ability to win out there," Boutier said. "I feel like I was kind of lacking that confidence last year. Being able to get that first win on the first tournament was definitely helpful with that. "I feel like also my game has been getting better and better, so I'm just super happy to be able to start the tournament this way." Choi was playing for the first time since April 2018. She recovered from a back injury, then took some time off. "I'm very happy back on tour," she said. "I needed (a) break, so I had a break and I did a lot of rehab to get stronger. "I didn't play golf for four, five months, and then suddenly I just woke up in the morning (and said), 'I miss golf.' I was waiting until I felt that I miss golf." Defending champion Inbee Park of South Korea shot a bogey-free, 3-under 69 to finish the day in a tie for 25th place. China's Xiyu Lin aced the par-3 17th hole en route to a 2-under 70.